It’s that time of the year when we see eCommerce platforms like Amazon and Flipkart offering great deals on all kinds of stuff. The much-awaited Flipkart Big Billion Days will start from October 10 and last till October 14. From October 11 to 14, we will see some excellent deals and offers on smartphones. If you want to get a phone in this sale, then we are here to help you. In this article, we have compiled the list of best offers on the smartphones in the Big Billion Days 2018. NOTE – The smartphones listed in each price segment are in no particular order. This is undoubtedly the best smartphone you can buy under Rs 10,000 in the Big Billion Days on Flipkart. This is because the Zenfone Max Pro M1 is the only phone that has the powerful Snapdragon 636 processor at this price. It doesn’t end here as the phone has a massive 5,000mAh battery underneath, runs on the stock Android 8.1.0 Oreo, has a Full-HD+ 18:9 display, Dual rear cameras and more. For those who are worried about the camera performance, you can easily install the Google Camera on this phone, and that improves the overall camera quality a lot. If you think the 32GB is very less, then there is a triple card slot which means you can add two SIM cards and a microSD card at the same time. Again, this is something we don’t usually see these days in smartphones as most of the companies add the hybrid SIM slot. Apart from the processor, the best thing about this phone is its battery. With casual usage like social media, YouTube, etc., this phone will easily last two days. With heavy use that includes gaming, the phone will easily last a full day and even more. So overall, this is a great phone to buy at the Flipkart Big Billion Days. The Realme 2 is also one of the best phones under Rs 10,000 as it features a notched display, a dual rear camera setup, a big 4,230mAh battery, 14nm Snapdragon 450 processor, Triple card slot, Face Unlock, Fingerprint scanner and not to forget, that beautiful design (the company calls it a Diamond-Cutting design). If you want a phone with a big battery, a display with notch, beautiful design and good cameras, this is the phone that you should look at. Well, this is not that good phone when you consider the performance, but is one of the few phones with a glass back. 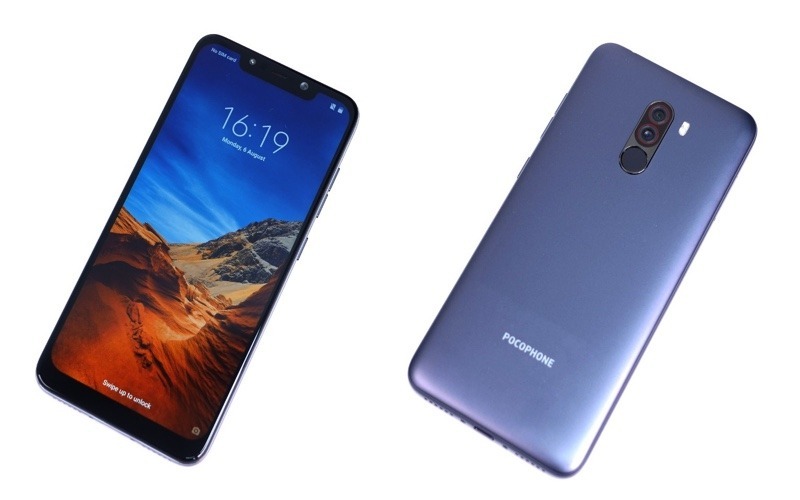 Again, this is a 2.5D curved glass on the back and not plastic like the one on Realme 2 Pro. The phone has a notched display, but the notch on the 9N is smaller than most of the phones with notches in the budget segment. Rest of the specs aren’t bad. The phone has a Kirin 659 processor, 3,000mAh battery, 13MP + 2MP dual rear cameras, 16MP front camera, 3GB RAM and 32GB ROM. 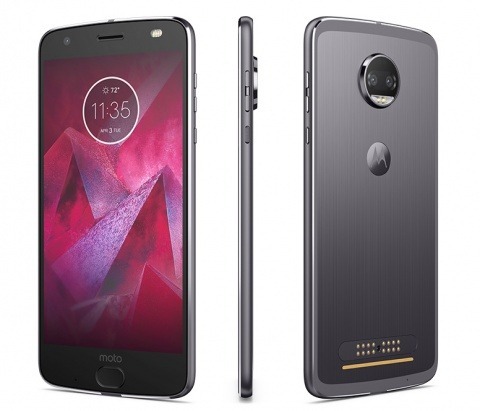 The Moto Z2 Play might not be the best choice under Rs 10,000 since it features the Snapdragon 626 processor, but the phone has a solid build with a unibody metal design, Gorilla Glass protection on the front, good camera on the rear (12MP with f/1.7 aperture and dual Pixel AF), stock Android, 3,000mAh battery, 4GB RAM, 64GB storage, USB Type-C port and more. Since it is a ‘Z’ series phone, it also supports all the Moto Mods. So, if you are into that, you can go for the Moto Z2 Play in the Flipkart Big Billion Days. The Lenovo K8 Plus is one of the few phones from Lenovo that features the stock Android. Yes, there is no custom skin on top, so that’s a good thing. If you want a phone with stock Android, the K8 Plus is a good choice since it will be available under Rs 7,000 in the sale. The phone has a Full-HD 16:9 display, 4,000mAh battery, MediaTek Helio P25 Octa-core processor, Android 7.1.1 Nougat (Oreo update has already arrived for the phone), 13MP + 5MP dual rear cameras, an 8MP front-facing camera and more. Overall, this is the best feature packed phone under Rs 7,000 that you can get in the Flipkart Big Billion Days. 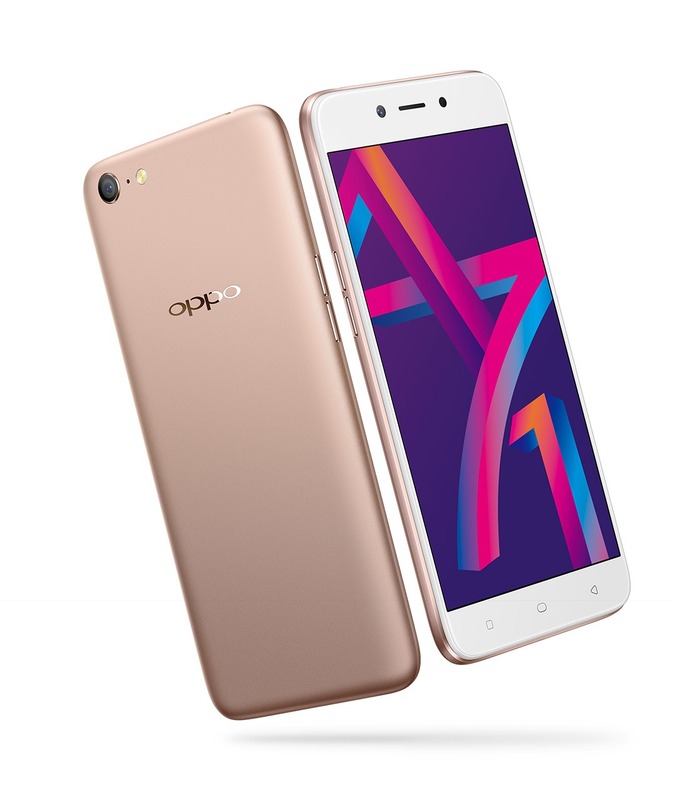 The Oppo A71 is a phone that features the Snapdragon 450 processor, and in the sale, you will be able to get it for under Rs 7,000. This will make it the cheapest phone with Snapdragon 450 processor in the Flipkart Big Billion Days. One of the major con is that the phone has just 16GB internal storage. There is a 13MP single rear camera, 5MP front camera, a normal 16:9 HD display, and a 3,000mAh battery. So, apart from the processor, there is nothing special about this device. Realme surprised everyone when it announced Realme C1 after the announcement of Realm 2 Pro. When it was announced, it became the cheapest Snapdragon 450-powered phone in India. In the Flipkart Big Billion Days, you can get it for Rs 6,999 and for that price, you are getting a 19:9 display with notch, dual rear cameras, 4,230mAh battery, Face Unlock, Triple card slot, and a powerful Snapdragon 450 processor. This is a phone that you can get if you want a phone under Rs 7,000. 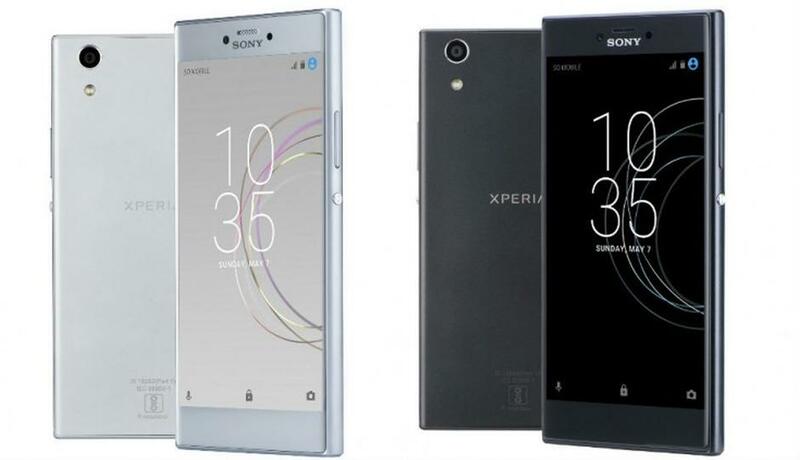 Well, we don’t usually recommend Sony’s phones in the budget segment since they are pretty overpriced. But, if you love Sony’s design, then the Xperia R1 Dual can be a good phone to buy in the sale. The phone has a traditional Sony design with big bezels on top and bottom, 13MP rear camera, 8MP front camera, 2,620mAh battery, Snapdragon 430 Processor, etc. Not a good phone when compared with phones like Realme C1 but still, if you are a Sony fan, you can get this. If you want a phone with Good cameras, then the Redmi 6 is a good phone at a price of Rs 7,999. The phone has dual rear cameras that include 12MP + 5MP sensors, and the device has the same Portrait Mode algorithm that we have on phones like Redmi Note 5 Pro. On the front, there is a 5MP camera. The processor under the hood is the octa-core Helio P22, and there is a 3,000mAh battery underneath. The Infinix Note 5 is the only phone under Rs 10,000 that comes with Android One branding. So, the phone runs on the stock Android 8.1.0 Oreo and will get two major Android updates. It also features the Helio P23 octa-core processor, has a big 4,500mAh battery, 5.99-inch Full-HD+ display without a notch, 12MP single rear camera and a 16MP front-facing camera. The phone has a glass finish that makes it looks really beautiful. One of the best things about the phone is that it supports 18W fast charging as well. Overall, this is a value for money phone. The Infinix Smart 2 is a cheap smartphone, and at the Flipkart Big Billion Days, you will be able to grab one at a price of Rs 4,999 only. 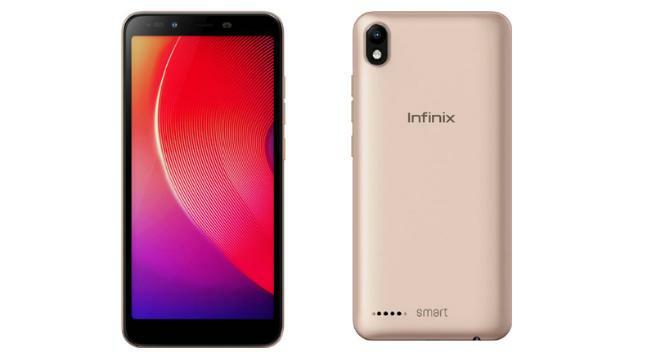 The phone has a quad-core MediaTek MT6739 processor, 13MP rear camera, 8MP front camera, 2GB RAM, 16GB ROM, 3,050mAh battery, Face Unlock and Triple card slot. These specs might not seem that good on paper but keep in mind that it is a phone priced at Rs 5,000. So, that completes the list of best smartphone offers under Rs 10,000. We might have missed some phones, but that is because we don’t think you should go for them in this sale. Now, let’s move on to the most competitive segment in the Indian smartphone market, i.e., Rs 10,000 – Rs 15,000. Well, it’s Asus again that has surprised by announcing a discount of Rs 2,000 on its Max Pro M1. So, the 4GB RAM variant will be available at Rs 10,999 instead of the normal price of Rs 12,999. The phone features Snapdragon 636, the best chipset at this price and comes with a massive 5,000mAh battery. There is the same camera setup as on the 3GB RAM variant. All the specs are the same as the 3GB variant except for the storage and RAM. Overall, this is the best phone to get at Rs 12K. The Nokia 5.1 Plus is an Android One smartphone which means it comes with the stock Android out of the box. The phone has an Helio P60 processor. If you don’t know, the Helio P60 comes pretty close to the Snapdragon 660 Processor regarding the performance. 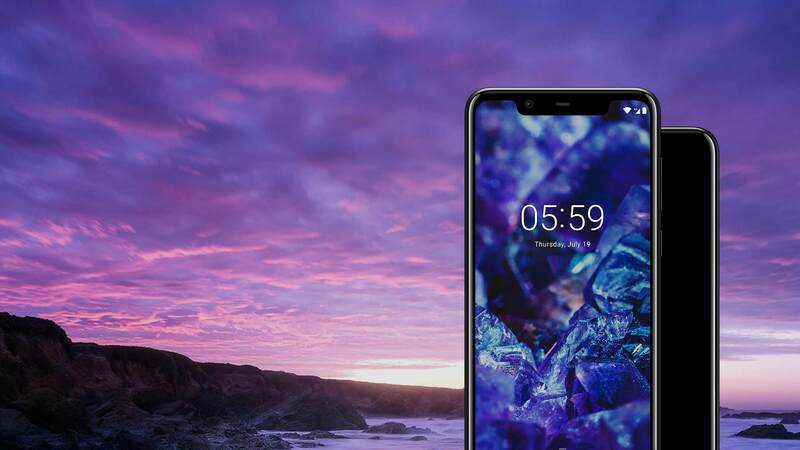 The Nokia 5.1 Plus also features a glass back. There is 3GB RAM, 32GB ROM, 3,060mAh battery, USB Type-C port, 19:9 HD+ display with a notch, 13MP + 5MP dual rear cameras and an 8MP front camera. And here we have Asus again. 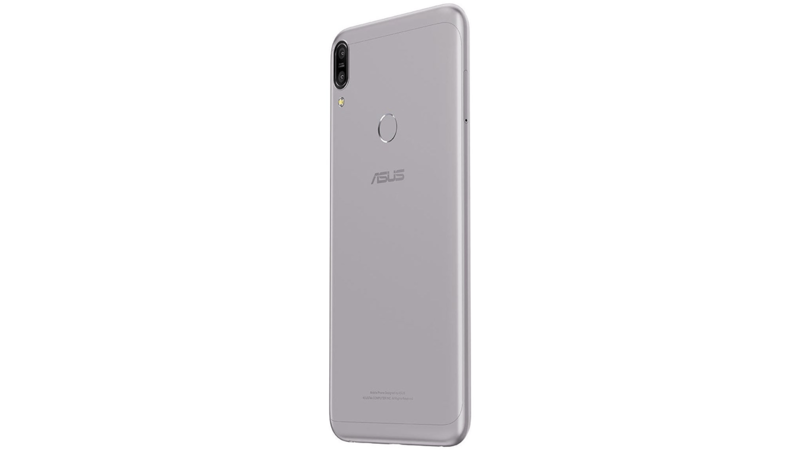 The Zenfone Max Pro M1 with the highest configuration was launched with a price tag of Rs 14,999, but on the Flipkart Big Billion Days, you will be able to grab one for Rs 12,999. The 6GB variant has much-improved 16MP + 5MP dual rear cameras and a 16MP front camera. Rest of the specs remain the same as the 3GB and 4GB variants. This will be one of the best selling phones in the Big Billion Days in this price segment due to the specifications. In fact, after the extra 10% discount on HDFC cards, this becomes the cheapest 6GB RAM phone in India! The Nokia 6.1 Plus, just like the Zenfone Max Pro M1, features the Snapdragon 636 processor but some things make it better than the M1. 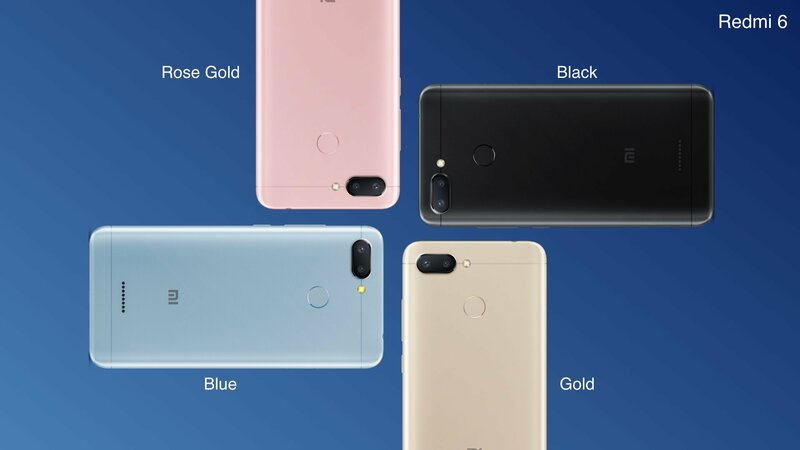 It has a glass and metal build, a USB Type-C Port, Fast Charging support, 19:9 display with Gorilla Glass protection, Android One Support, 16MP + 5MP dual rear cameras, 16MP front camera, and a 3,060mAh battery. If you think that this is a small battery, you’re wrong. Thanks to the impressive software optimization, the phone will easily last for a full day on normal use. Android Pie update is also coming this month for the Nokia 6.1 Plus. The Realme 2 Pro is the cheapest smartphone in India that features the Snapdragon 660 processor. The phone is the best when it comes to gaming, but the increase in the performance isn’t that huge since it is an underclocked Snapdragon 660 processor. Normally, the 660 is clocked at 2.2GHz, but the Realme 2 Pro has a 2.0GHz processor. Still, the phone performs better than the Snapdragon 636-powered phones when it comes to gaming and heavy tasks. Color OS is something you won’t like since it not that well optimized and has a lot of issues. Other than that, the phone is great with superb cameras, good design and more. The Moto X4 is the only phone under Rs 15,000 that features IP68 rating. So, it is water and dust resistant. 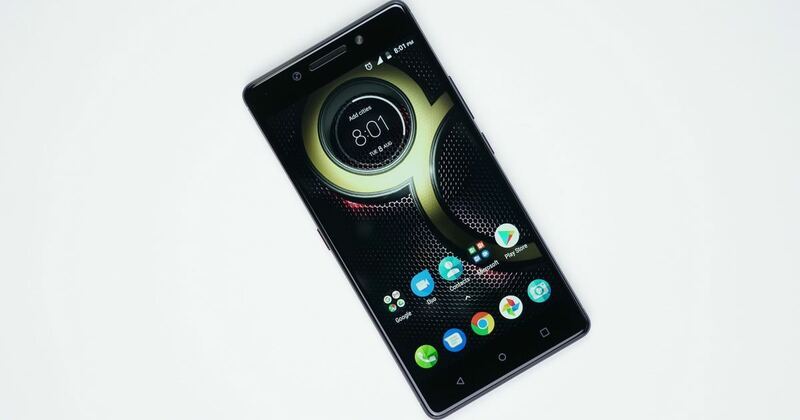 The phone has a premium design with glass and metal build, Snapdragon 630 Processor, Dual rear cameras (12MP + 8MP) and 16MP front-facing camera. There is a 3,000mAh battery, and it runs on Android Oreo out of the box. This is a phone you should look at if you want a premium design and IP68 rating. 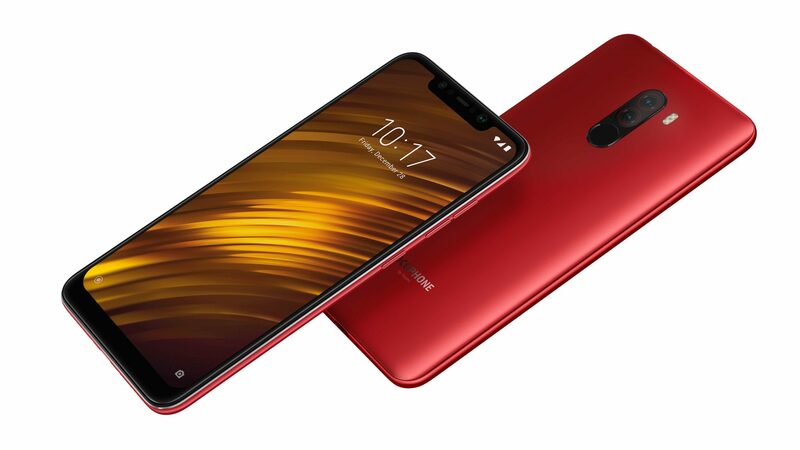 There are more phones like the Redmi Note 5 Pro that are available under Rs 15,000, but at the time of publishing this article, Xiaomi hadn’t revealed the discount. We will update the article as soon we get information on that. 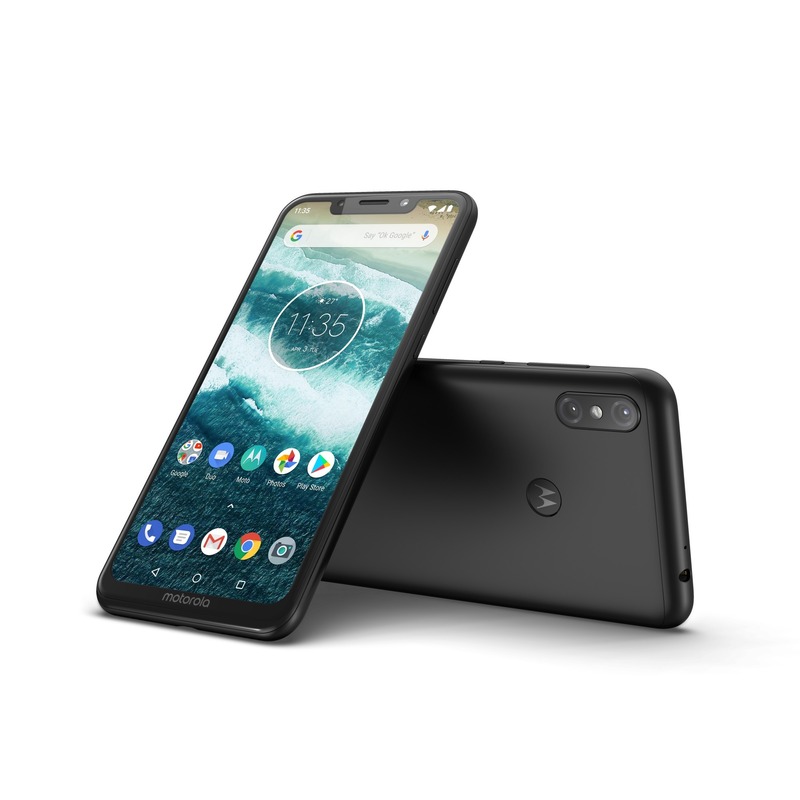 The Motorola One Power is an Android One smartphone from Motorola that, at a price of Rs 15,999, comes with the Snapdragon 636 processor, 4GB RAM, 64GB ROM, a massive 5,000mAh battery with Fast Charging support, Dual rear cameras ( 16MP + 5MP) and a 12MP front-facing camera. The phone has USB Type-C Port and has a metal back with plastic on top and bottom. If you love displays with notches, then the Motorola One Power has a 19:9 display with a notch. Since it is an Android One device, it comes with stock Android 8.1.0 Oreo out of the box and will get Android Pie and Android Q update in the next couple of years. This is the most exciting offer on a phone that was launched as a flagship last year. 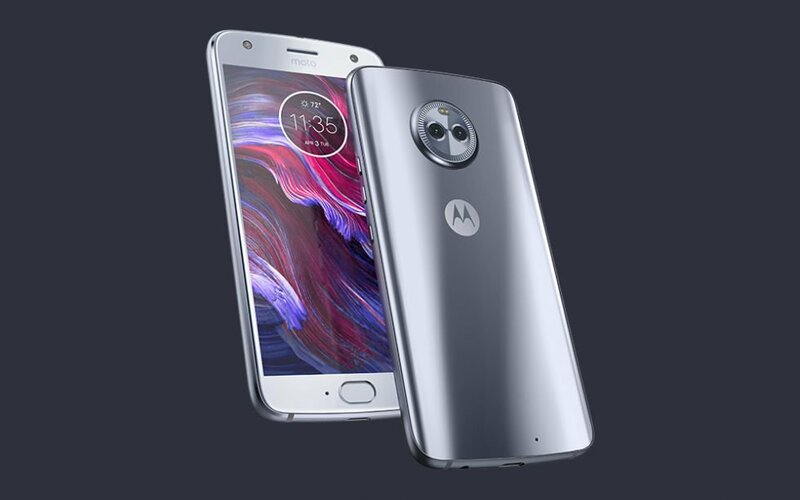 The Moto Z2 Force comes with the Snapdragon 835 processor, 6GB RAM, 64GB ROM, dual rear cameras (12MP + 12MP), 5MP front camera and a 2,730mAh battery. This is the best deal on a phone in the Flipkart Big Billion Days since you are getting a flat 50% OFF! The phone supports Moto Mods as well so you can get a Battery Mod in case you think the battery is small. The phone is made out of 7000 series aluminum and comes with a shatterproof display. If you want a phone under Rs 20K in the Flipkart Big Billion Days, definitely go for this one. The Poco F1 is still the king of budget flagships and at a price of Rs 20,999, you get the powerful Snapdragon 845 processor, 6GB RAM, 64GB UFS 2.1 storage, 19:9 display with a notch, IR Face Unlock, 4,000mAh battery, Fast Charging via USB Type-C port, Headphone jack, Liquid Cooling, 12MP + 5MP dual rear cameras and a 20MP front-facing cameras. If you want a phone under Rs 25K, there is simply no other phone that can beat the Poco F1. If you want more storage, then the Poco F1 with 128GB ROM is here for you. Again, it is priced under Rs 25K, so there is no doubt that this is the best choice for the flagship device at the price. Apart from the storage, the specifications remain the same as the 64GB variant. 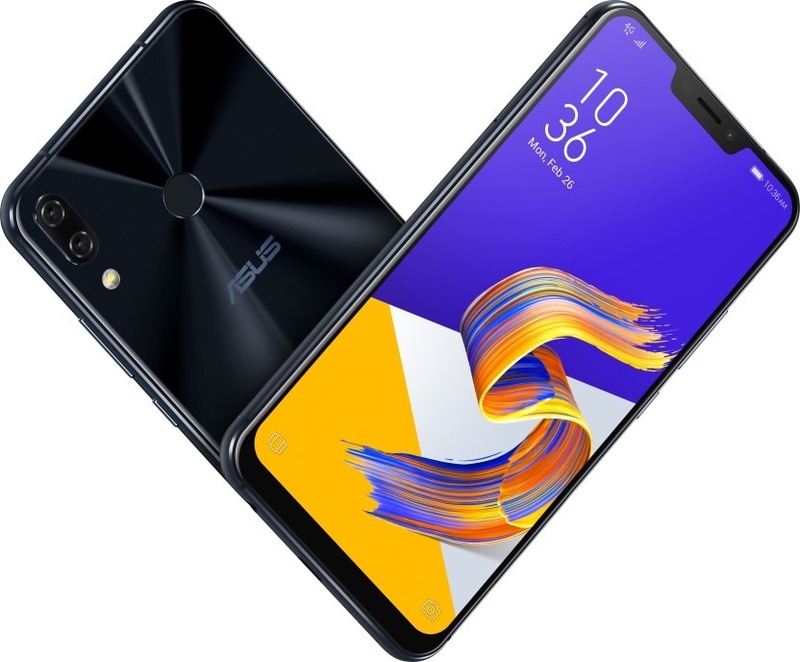 Before the Poco F1, the Zenfone 5Z was the cheapest Snapdragon 845-powered phone. In many ways, this is better than the Poco F1. You get a premium glass and metal design, a smaller notch, smaller bezels, probably better cameras, etc. The phone has 6GB RAM, 64GB ROM, 3,300mAh battery, 12MP + 8MP dual rear cameras, and an 8MP front camera. 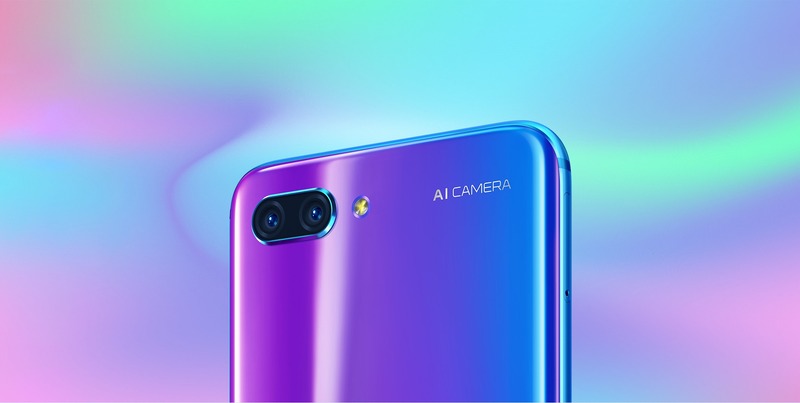 The phone is full of AI features for camera, battery, performance, etc. So, it is a great device to buy at Rs 24,999 in the Flipkart Big Billion Days. Just like the Moto Z2 Force, the Galaxy S8 has got a huge discount and will be available at Rs 29,999 in the Flipkart sale. Compared to the normal price of Rs 45,990, this is a big discount on a phone that was one of the best flagships of 2017. The Samsung Galaxy S8 is still one of the best single-camera smartphones. The single 12MP rear camera has a f/1.7 aperture and shoots some awesome photos. The Galaxy S8 is the only phone that has a super crisp Quad-HD+ display in this price. The display is curved on both sides and gives a premium look to the phone. Other features include the Exynos 8895 octa-core 10nm processor, Iris Scanner, 3,000mAh battery with Fast Charging and Wireless Charging support, USB Type-C Port, Headphone jack, 8MP front camera, IP68 rating and more. 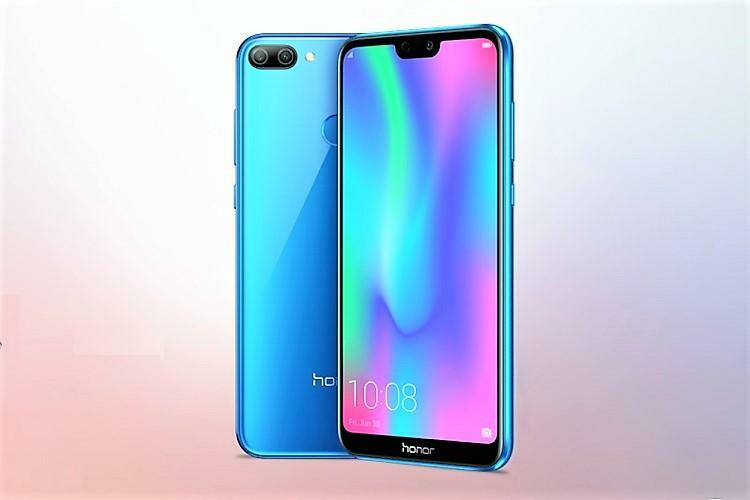 The Honor 10 is probably one of the most beautiful phones that you can buy at Rs 24,999 in the Flipkart Big Billion Days. The phone has a glass back that creates different patterns when light falls on it from different angles. There is a Kirin 970 Processor under the hood with a dedicated NPU for AI-related tasks. 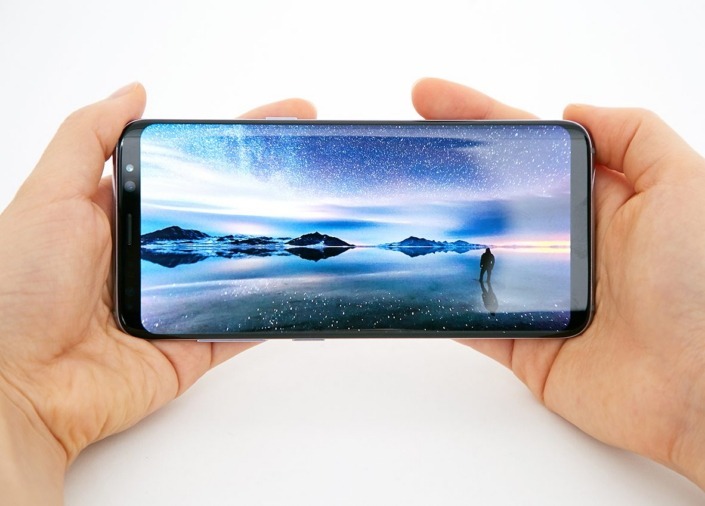 The phone has a 19:9 display on the front with minimal bezels. The fingerprint scanner is placed on the front, and it is an Ultrasonic Under glass fingerprint scanner that works even if your fingers are wet. On the rear, there is a dual camera setup that includes a 24MP + 16MP setup. On the front, the Honor 10 has a 24MP camera. There is a 3,400mAh battery underneath that supports Fast Charging via USB Type-C port. The headphone jack is present as well. If you want a phone with a beautiful design but don’t care much about the camera, then the Xiaomi Mi Mix 2 is a phone for you. 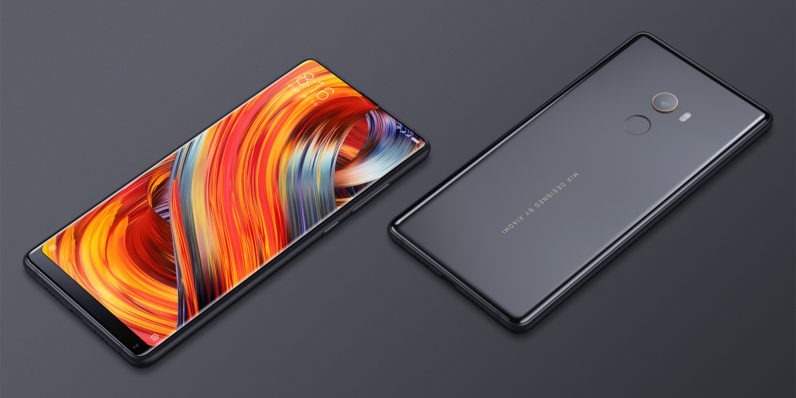 The Mi Mix 2 has a bezel-less design with no notch, and it looks really beautiful. It is a 5.99-inch screen with minimal bezels all around. There is a Snapdragon 835 processor under the hood, along with 6GB RAM and 128GB internal storage. The Mi Mix 2 has 12MP single rear camera and a 5MP front-facing camera. The battery underneath is a 3,400mAh unit that supports fast charging. Well, we don’t think you will be excited about deals on smartphones priced above Rs 30,000, so that’s why we kept the list under Rs 30,000. Still, if we missed any phone(s) that you think needs to be in the list, then make sure to let us know via the comments section below. As mentioned above, we will update the article once we know about the discounts on devices like the Redmi Note 5 Pro. So, are you ready to grab some phones in the Flipkart Big Billion Days? Do let us know which phone are you going to buy and why.